TECO Knows. TECO Cares. TECO Delivers. TECO is the world's largest remanufacturer of flow meters with the experience, trained technicians and facilities to remanufacture flanged and wafer mags to meet or exceed all OEM specifications and performance standards. TECO restores all makes and models of magnetic flow meters and most brands of coriolis flow meters to mint condition, calibrates them traceable to NIST, and warrants them like new. 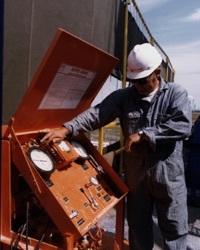 TECO has extensive experience in the repair of various instrumentation including controllers, transmitters, vortex meters, DP transmitters, recorders and more. 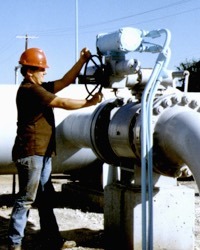 Thompson Equipment Company provides field maintenance, repair, calibration services, process control systems development, and instrument inspection services. Our ISA Certified Control Systems Technicians are accomplished professionals with experience in control system development, technical support and field service. TECO designs automated valve systems for all major industries including chemical, pulp and paper, petro-chemical, power generation, and water treatment. Scrap broken instruments in a TECO Bin - Your seamless recycling method! Simplifying valve and instrument sales and service. TOPS is TECO's procurement and service partnership with national and international companies.